There is a growing movement in architecture to incorporate natural lighting into buildings, as studies have shown it to be beneficial to our well-being. Exposure to natural light has been linked to increased productivity and creativity, reduced stress, and improved mood. Interestingly, exposure to early morning sunlight can help you get better sleep overnight as well! A beautiful feature of Velux products is that you can customize them to allow as much or as little sunlight in as you want. Velux solar-powered articulating skylights let heat and humidity out and allow cool trade winds in. The insulated glass panels use Low-E coatings to minimize heat gain. In the bathroom, the Velux Fresh Air skylight releases odors, moisture, and humidity, which can lead to mold. These remote-controlled skylights are perfect for airing out the bathroom after a steamy shower. 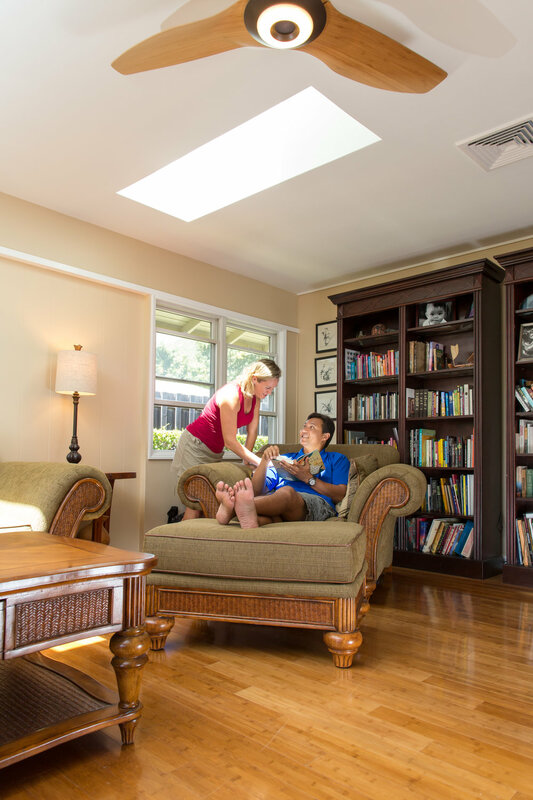 Velux PV-powered fresh-air skylights are eligible for a 30 percent federal and 35 percent tax credit tax credit due to their integrated PV technology and are suitable for new installations and retrofitting existing skylights. 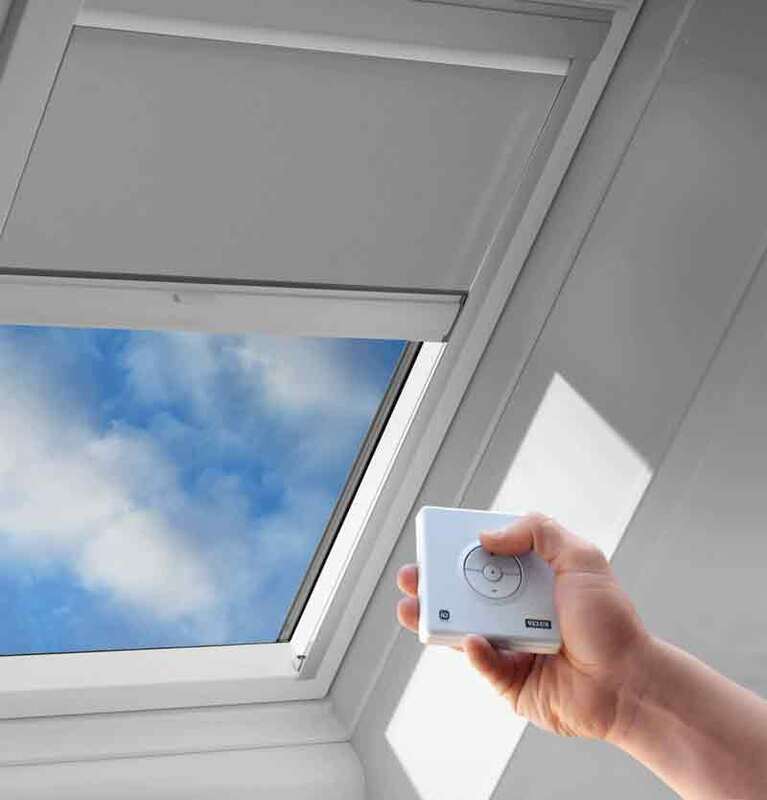 Velux articulating skylights come equipped with a rain sensor to guard against passing showers, and a 20-year No-Leak warranty on its skylights and 10-year warranty on installations. Velux skylights can be fixed or articulated, and outfitted with remote-controlled custom blinds. Blackout blinds are an option, so you can get sunlight only when you want it. We’d love to help you replace your old, leaky skylight that causes heat gain! Fall in love with your skylight again. Velux sun tunnels are designed to deliver natural light to dark areas of the home where skylights are impractical. The sun tunnel captures daylight at the roof and a diffuses it as a soft light into the living space. Velux sun tunnels also are available with an electric LED light kit for night time.